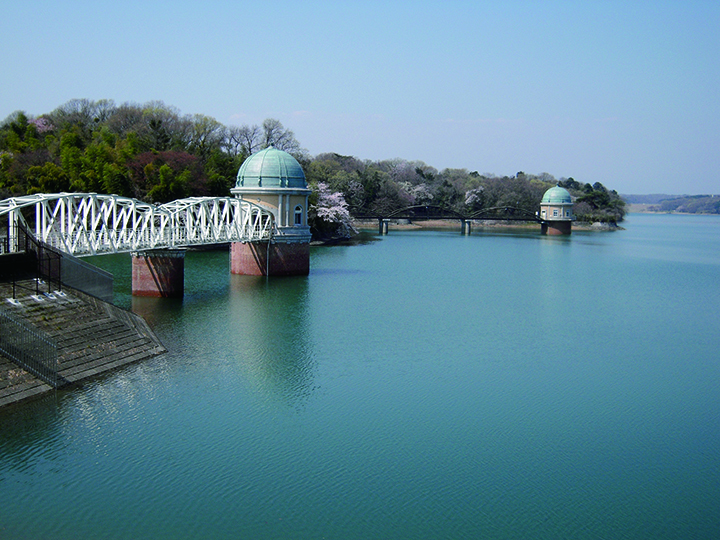 Lake Tama is an artificial lake, which is famous as the location of the most beautiful intake tower in Japan. The lake with its scenic beauty is listed in the "Shin Tokyo Hyakkei" (100 new scenic spots of Tokyo). The Tama Lake Cycling Road constructed around Lake Tama is suitable for jogging and cycling.